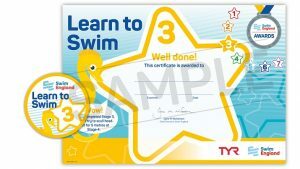 In Stage 1 the swimmer will develop basic movement skills, water confidence and safety awareness. 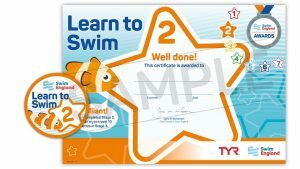 In Stage 2 the swimmer will develop safe entries to the water and will continue to practice floating, travel and rotation in the water. 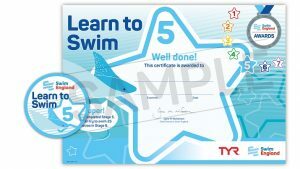 In Stage 3 the swimmer will work towards being able to swim 10m on their front and back, and will be able to swim underwater to collect objects from the bottom of the pool. 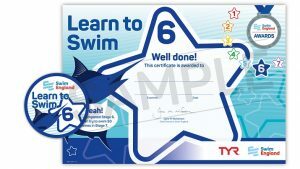 Rotation skills and water safety knowledge will also be developed. Travel on the front, tuck to rotate around the horizontal axis to return on the back. In Stage 4 the swimmer will focus on refining kicking techniques for all four strokes and develop a better understanding of buoyancy. In Stage 5 the swimmer will focus on swimming all four strokes to the ASA expected standards. 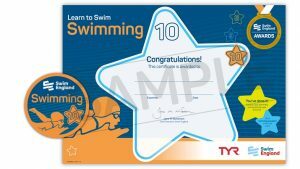 Swimmers will also develop skills in sculling, treading water and complete rotation. 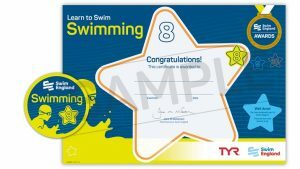 In Stage 6 the swimmer will focus on developing effective swimming skills including co-ordinated breathing, water safety and an understanding of how to prepare for exercise. 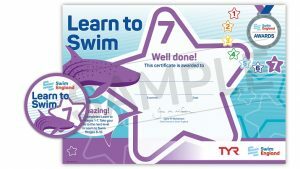 In Stage 7 the swimmer will develop quality stroke technique whilst swimming up to 100m. At Stage 8 the swimmer will probably be invited to train with the squad to enable them to fully develop competitive swimming disciplines. 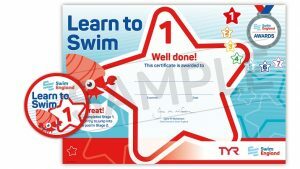 In Stage 9 the swimmer will continue to improve swim stamina and will be able to complete starts to the approved standard. In Stage 10 the swimmer will be fully integrated in the squad.